Brooklyn-based indie-pop unit Lucius made a splash with the arrival of their 2013 record Wildewoman, and they've now announced plans for the follow-up. A new LP titled Good Grief is set for release on March 11 through Dine Alone Records. The new album was produced by Shawn Everett (Alabama Shakes, Weezer) alongside Lucius and Bob Ezrin, then mixed by Tom Elmhirst. 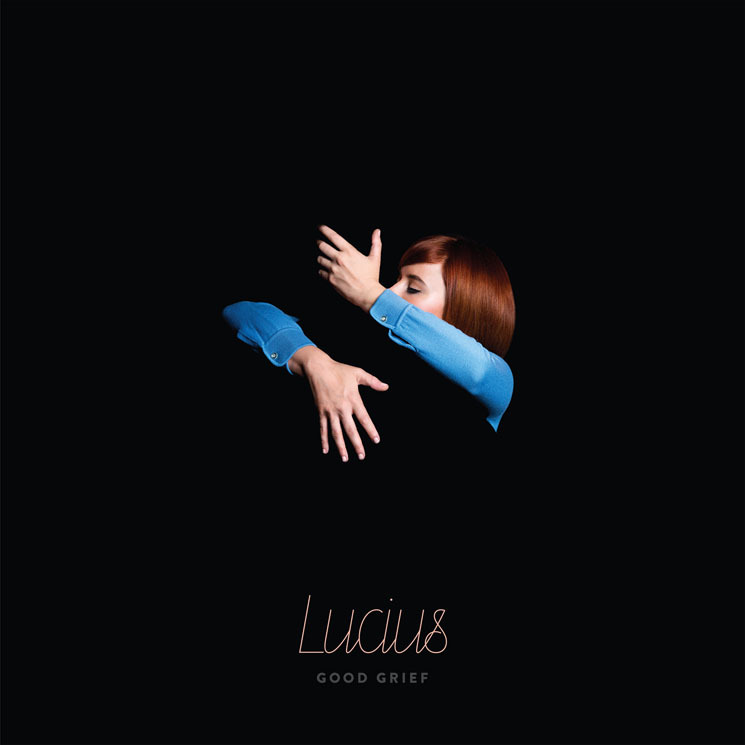 The Lucius lineup remains fronted by vocalists and songwriters Jess Wolfe and Holly Laessig, backed by multi-instrumentalists Andrew Burri, Peter Lalish and Dan Molad. The new songs were written after the band had been out on the road and away from home for over two years. "We had just returned from tour, having gone through such varied emotions — loneliness, sadness and exhaustion alongside excitement, fulfillment and some of the most joyful moments in our lives," Wolfe explained in a press release. "Whenever one of us had an idea or a feeling, the other was already a witness to it and could help navigate through it — for the two of us, this usually came in song form." The result is a fresh batch of 11 tunes that touch on everything from feeling crazy ("Madness," "Gone Insane") to romance ("My Heart Got Caught On Your Sleeve") to reconciliation ("What We Have [to Change]," "Truce"). The first sonic sampling arrives as the new single "Born Again Teen," and the group have shared it along with a brand new video. It's a rambunctious, upbeat jam celebrating a youthful lust for life, while the video finds the band meeting an array of interesting characters in a ride-sharing vehicle. Scroll past the Good Grief tracklisting to get in on the action.